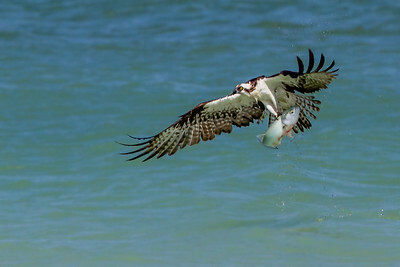 Mostly taken on Tigertail Beach, Marco Island, FL. 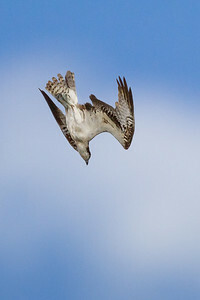 Click on picture or use Slideshow for full size images. 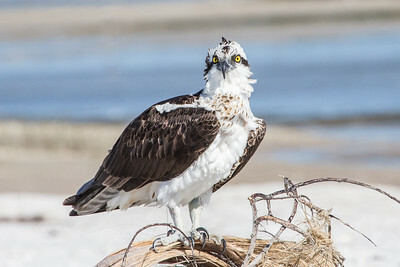 Tigertail's female calling to the male near their nest before the eggs were laid. 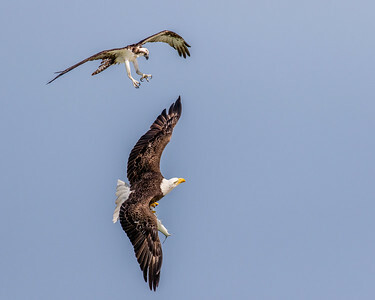 A pair having a break from nest building in Rookery Bay. 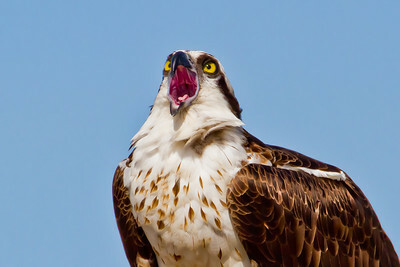 A female calls to her mate! 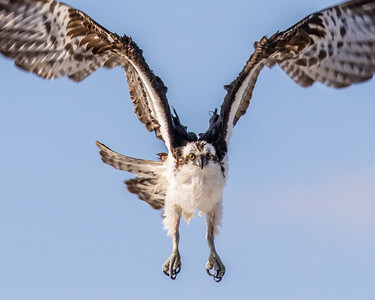 A female prepares to take off! 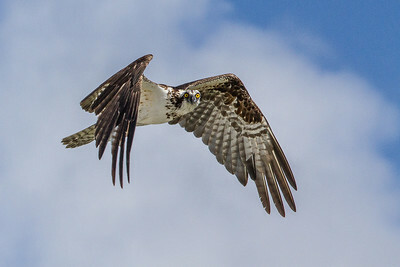 The male osprey checks me out! 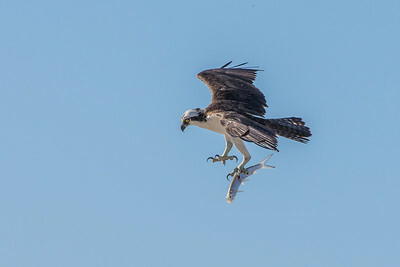 Feet down to enter the water and grab the fish. 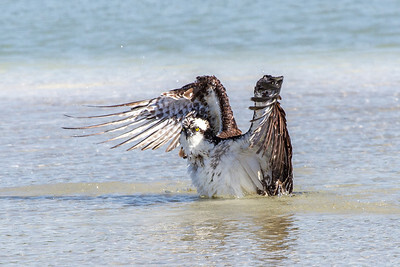 The osprey dives right into the water and is fully submerged. 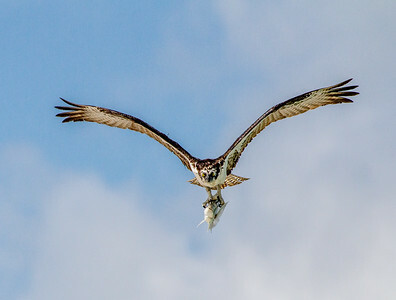 Catching a fish at Eagles Lakes Community Park. 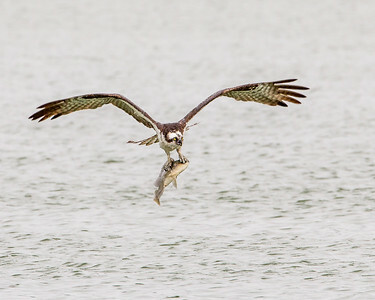 This osprey caught a very large fish and could hardly get out of the water. 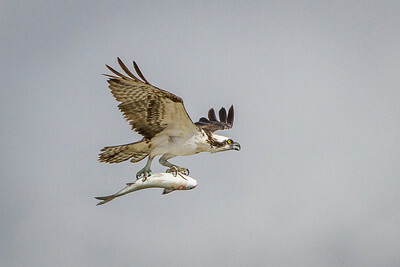 An osprey with a barracuda! 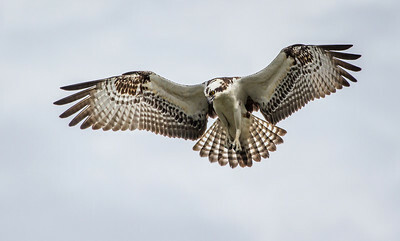 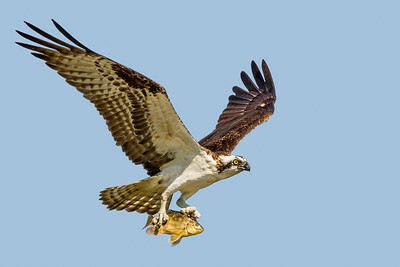 This osprey (and fish) is coming straight towards us. 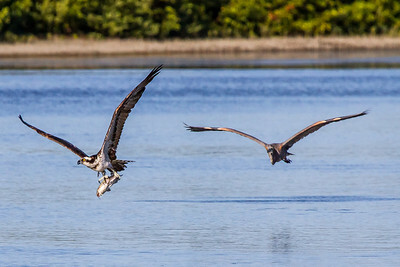 Taking a half-eaten fish to a quieter snag. 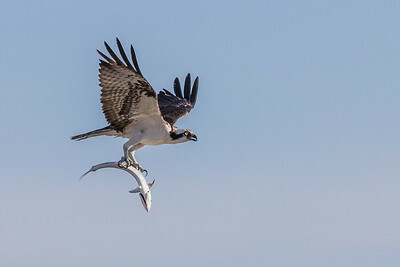 Male osprey trying to get a fish back from an eagle! 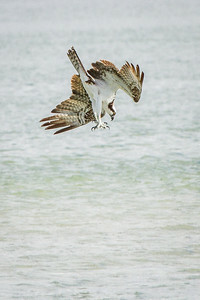 An adult female osprey takes its fresh catch to a sandbank for some privacy. 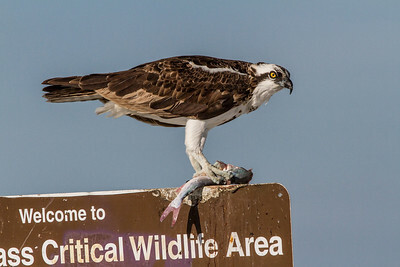 Eating on a favourite sign. 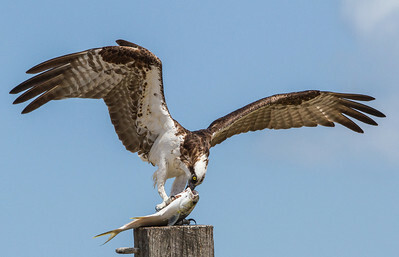 The osprey starts to eat a fish from its mouth. 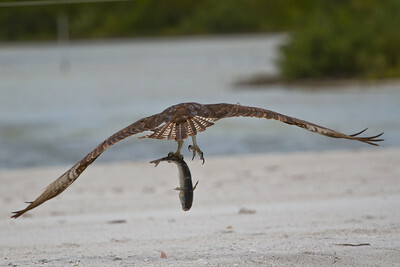 The easiest place to get the beak into the fish. 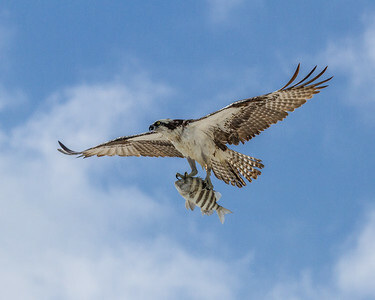 The Tigertail male eating a pompano on their favorite eating post. 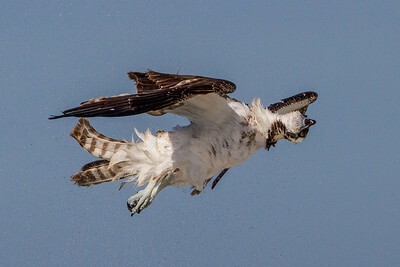 Woops! 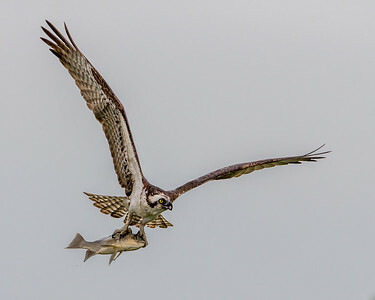 An osprey dropping a fish! 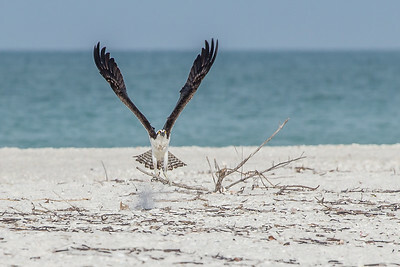 Picking up nesting material from the beach. 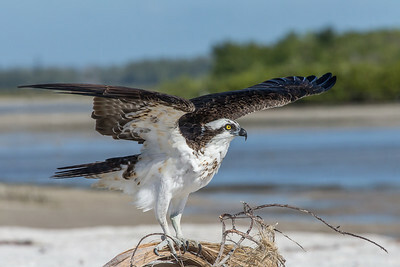 An osprey tries to move a juvenile gull from the beach. 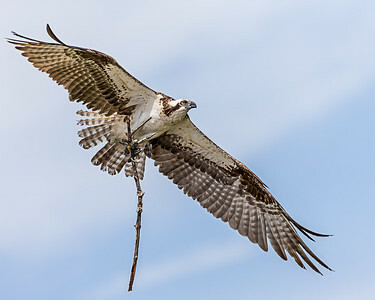 This osprey is taking this large stick to its nest. 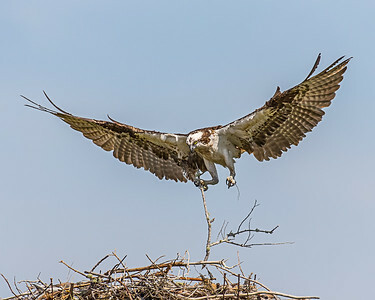 The female bringing in soft material to line the nest.